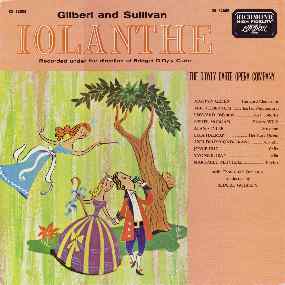 This Iolanthe and a Patience recorded the same year were the valedictory D'Oyly Carte gramophone appearances for Martyn Green and several other notable stars of the post-war period. 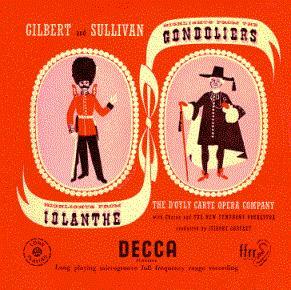 After the celebrated Festival of Britain season in 1951 (when this recording was made, though issued in 1952), Green left the Company in disgust at Bridget D'Oyly Carte's management, and about a score of principals and choristers left with him. Darrell Fancourt's absence on this recording may seem puzzling, but by 1951 he had been the Company's principal bass for over thirty years. So that he could have some extra nights off, he had reliquished Mountararat to Eric Thornton at the conclusion of the 1949-50 season. Fancourt, in fact, was not among the group that left after the summer of 1951. He remained with the Company through the summer of 1953, was awarded the O.B.E., and died shortly thereafter. 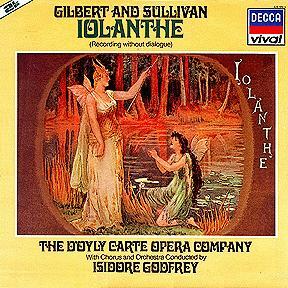 Thornton had a fairly brief career with D'Oyly Carte, and this was his only recording. The Lord Chancellor is one of the most challenging roles for the G&S patter baritone, and it was one of Martyn Green's best parts. I find him the best Chancellor on record, and in particular his diction in the Nightmare Song is miles ahead of John Reed's. Reed's 1960 recording will undoubtedly have its fans, however, as it includes all the dialogue. 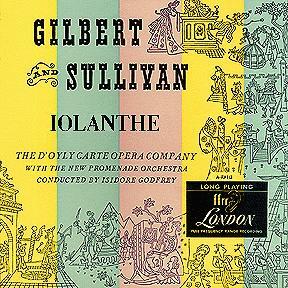 This was the first D'Oyly Carte recording to be issued only on LP. 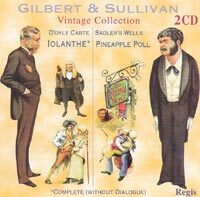 (Previous recordings in this series had been simultaneously issued on 78's.) 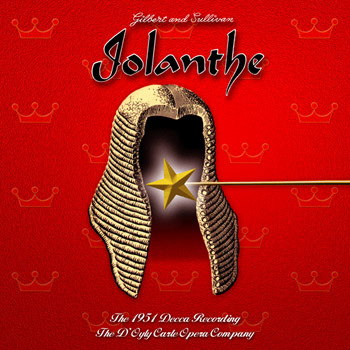 It was later re-issued on the budget Richmond label and is now available on CD. 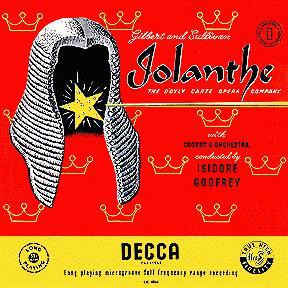 1954 Decca Mono LP LK 4073 Iolanthe and Gondoliers highlights. Note that LKA 4073 was an Australian issue.